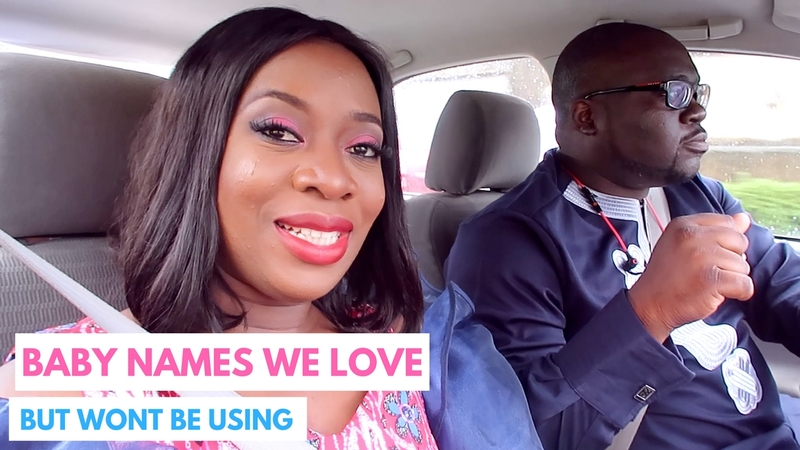 There is definitely baby fever in the air so Bobo and I decided to share our conversation about baby names we love but won't be using due to one reason or the other. I thought this was going to be a fun tag to do because I have been seeing it on YouTube. Do you have baby names you love but won't be using? Or didn't use? Tell me why! Sisi Yemmie, this just has baby news written all over. If I'm correct, I await the official announcement. Lol. Lately, I've been thinking of names 'Luther' and 'Dwayne' though their meanings are not so awesome. We have more than enough traditional names we won't use, English names seem to be a more heavy feat for us. I do not like matchy names even when they are twins, I like to give each kid a 'wholesome' name to represent their individuality or personality. As for the boy band names, Jay-This, Jay-that( all due respect to Jay parents) I used to love them until almost every millennial family named their son that. And Oh, the horror of Nigerians killing lovely names. I know of an 'Ignatius'. He calls it proudly and anytime he does, the Naija twist on the name rings loudly in my ear- "Iggynatuss". Hebrew names are the coolest to me cos most of them have Great meanings. The Babe name is as good as sisiyemmie. I always like reading from your blog. You have a good content. Also you have a good video display on YouTube. Lol. I'm not the only one guessing. Sisi might just be preggy again. Well, I can never call my baby Mary or Judas.